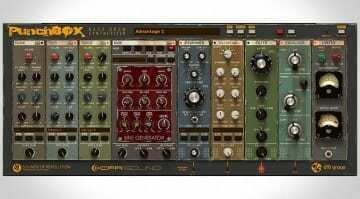 Since I started writing for Gearnews I’ve become acutely aware of the amazing quality of plug-in software synthesizers and instruments that are being developed and released all the time. The potential sound palette available to us computer musicians right within our DAW is mind boggling and so is the damage they can do to your wallet in the all-too-easy method of stealthy online acquisition. So what has grabbed my attention since joining Gearnews.com? Here are my top choices of software synths worth checking out if you are in the market for some new plug-in tonal adventures. 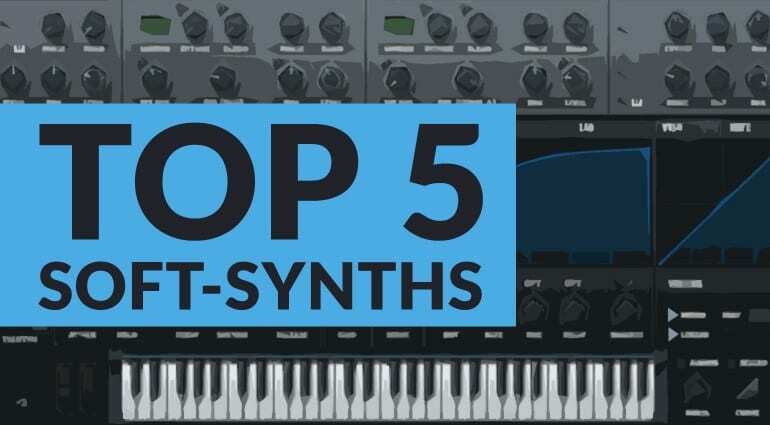 These are in no particular order because they all have their strengths and wonderfulness; note that I’ve not included any rompler style or Kontakt instruments as they are not really synths and deserve their own list. 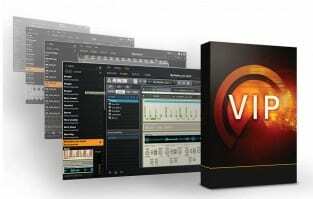 Completely unique in every respect, from the GUI design, sound content to the way you can manipulate sounds, this gives you a bed of sound unlike anything I’ve ever heard. It has an organic quality, a flow to it that somehow combines natural and synthetic sounds. 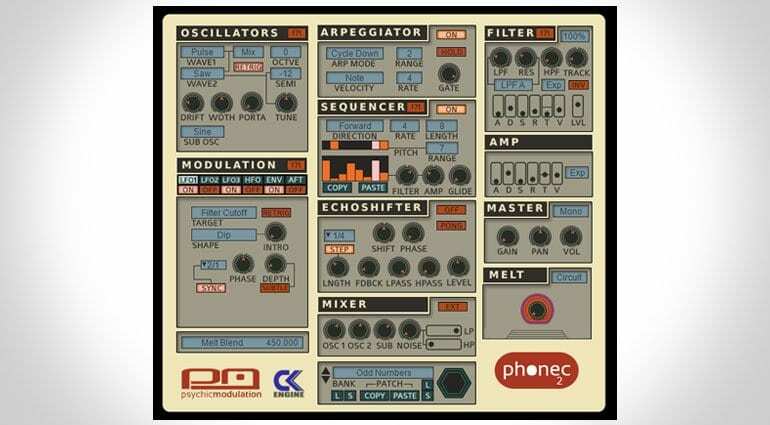 It’s not a synthesiser in the true sense of the word, the source of the sounds is predefined and instead you are given a range of macro controls to sculpt and modulate the sounds. The weird tree thing in the middle simply offers a slightly different way of emphasising the sort of mood or tone you’re after. 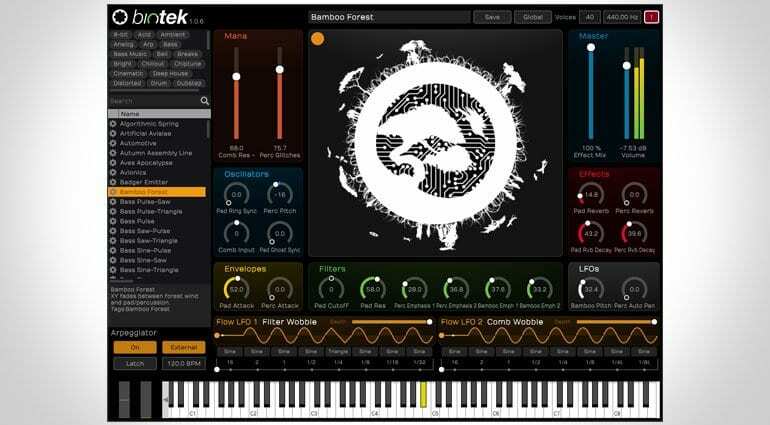 It’s highly enjoyable to play with – click here for more about Biotek. There are a lot of bass synths out there but you don’t have to reinvent the wheel to bring something interesting to the table. Monique has all the familiar analogue synth controls of oscillators, envelops and filters but then it mashes it all about with its ability to morph and flex between sounds getting truly messy and sonically intriguing. With 3 oscillators running through 3 filters with 4 LFO’s modulating 4 morphing groups there’s a lot to get your hands on which is made even easier because Monique supports 10 finger touch control which always catches my attention. Click here for more about Monique. This took me by surprise and I instantly fell in love with it’s fuzzily warped nature. It’s supposed to sound like the sort of synth sounds you’d find playing the theme tune of 80’s VHS production company logos. To people of a certain age it’s instantly familiar and tears a big smile across your face. 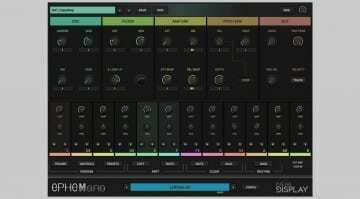 It’s not particularly complex but has a couple of key ingredients that give it its vintage feel – “Drift” which allows the oscillators to waver out of tune and “Melt” which brings in edge and character to the sounds. Awesome if you can find a place to use it. Click here for more on Phonec 2. 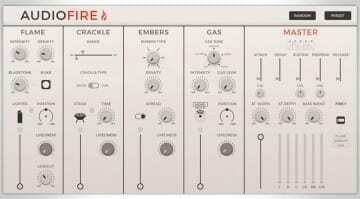 Great name for a synth, great look too – very clear and colourful without being tasteless. 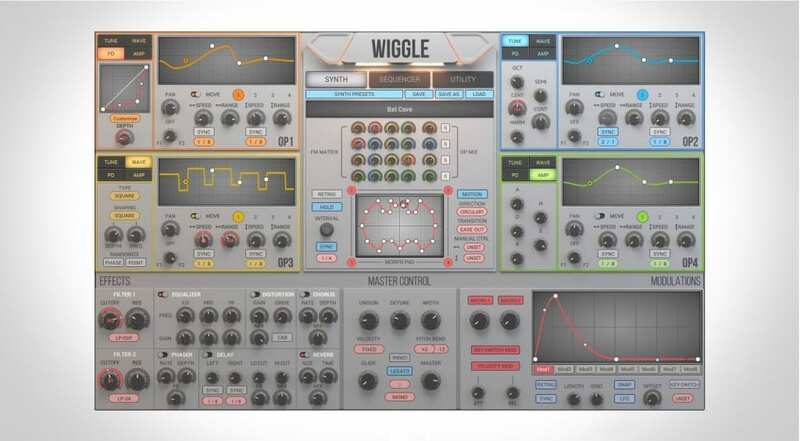 Wiggle is a dynamic wave shaping synth has 4 sound generators that that let you manipulate the wavetable. Yeah, I’m not entirely sure what that means either but in essence you have wavetable, phase distortion and FM synthesis going on in a mighty morphing modulating kind of way. The resulting sound is unusual and quite distinctive. 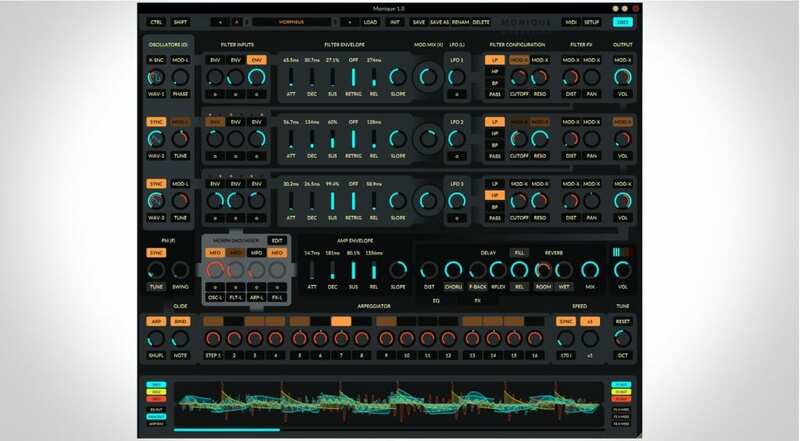 They’ve also done an awesome job on the interface with some great oscilloscope style displays indicating how you are modulating the sound. Click here for more about Wiggle. This is acoustic modelling at it’s best. Not because of the purity of the sound but because of the ability to combine the character of two physical objects into one playable and expressive instrument. As you’re dealing with physical models rather than samples you get a very convincing sound in all registers. Nicely organic, a lovely sense of mallet and percussive instruments, a warmth of natural sounds created in those resonators that you just don’t get in regular synthesis. 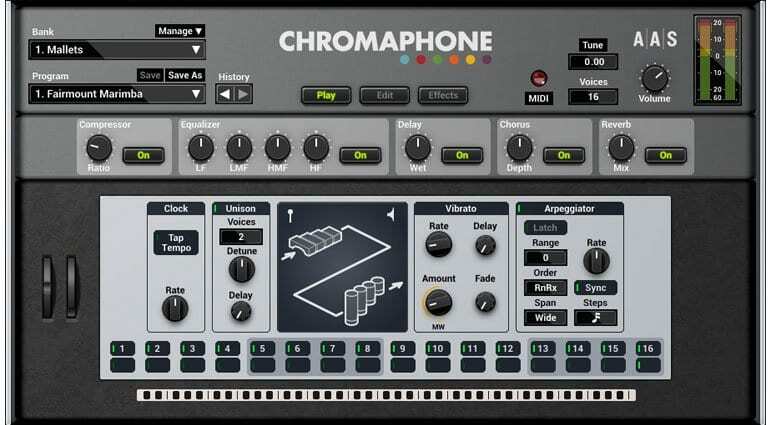 Click here for more about Chromaphone 2. So that’s what has stood out for me this year so far in terms of new synths or new versions of synths. I guess I’m into the weird and wonderful side of things. What do you think of my choices? Is there anything you’ve come across that I’ve missed like an idiot?